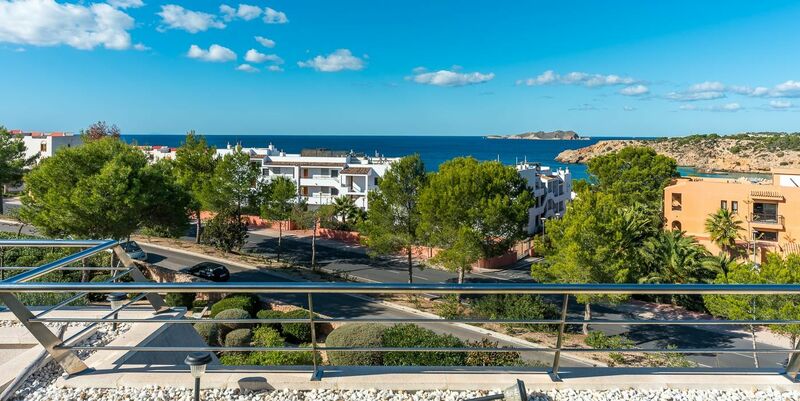 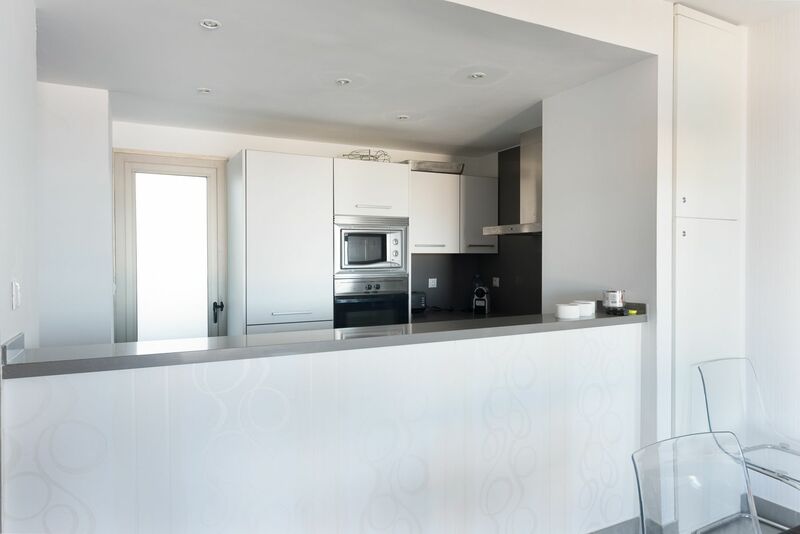 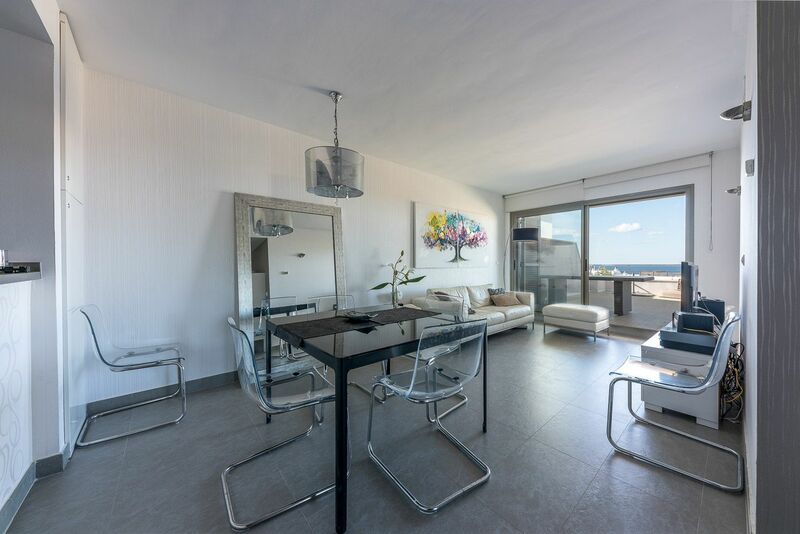 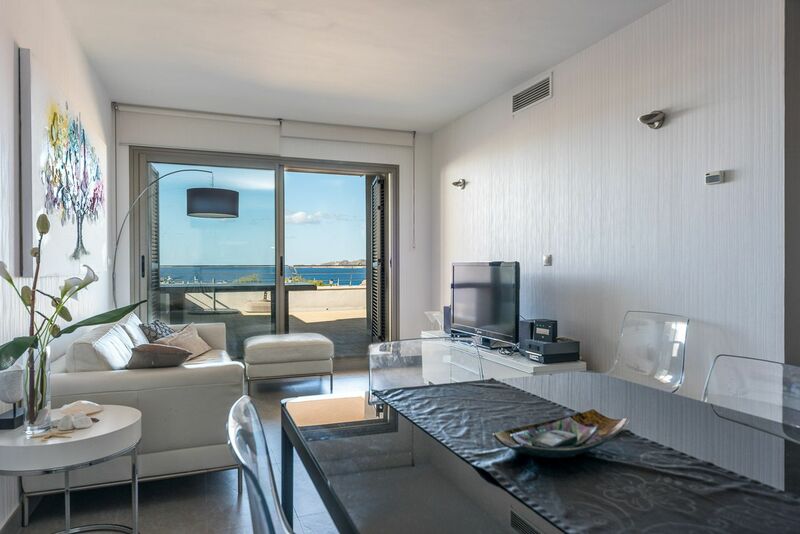 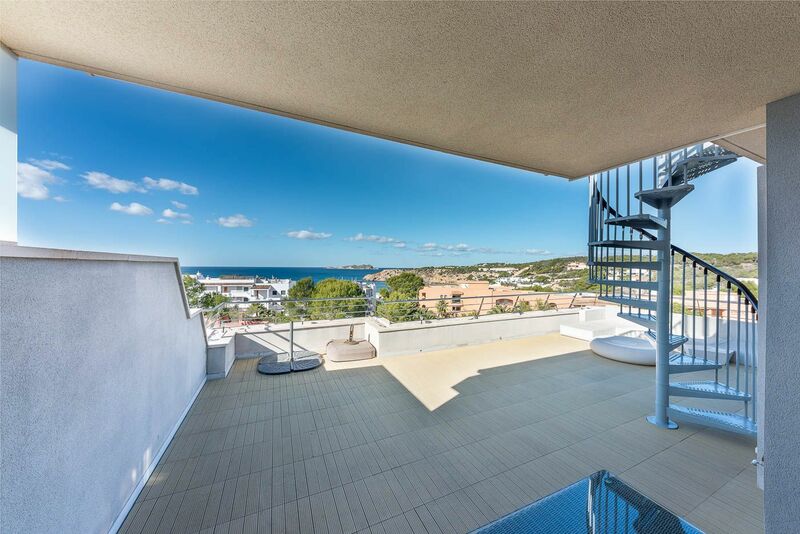 Penthouse with fantastic sea views and walking distance in Cala Tarida. 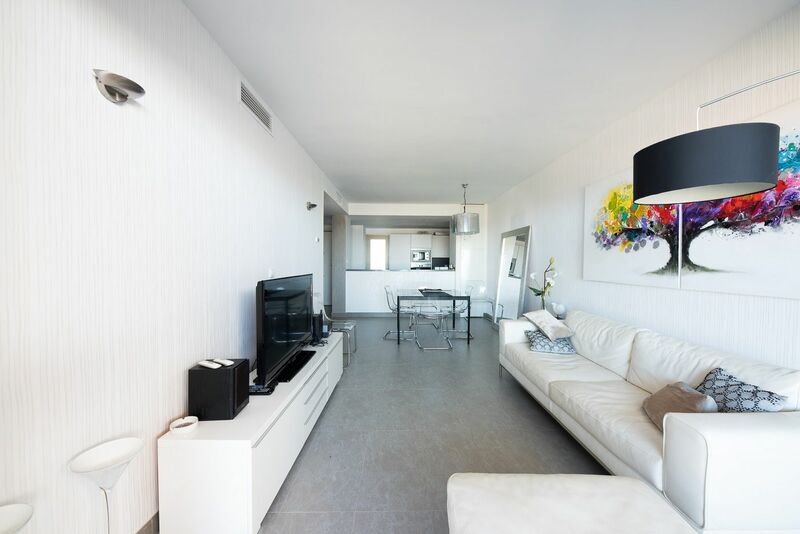 The apartment has a living area of approx. 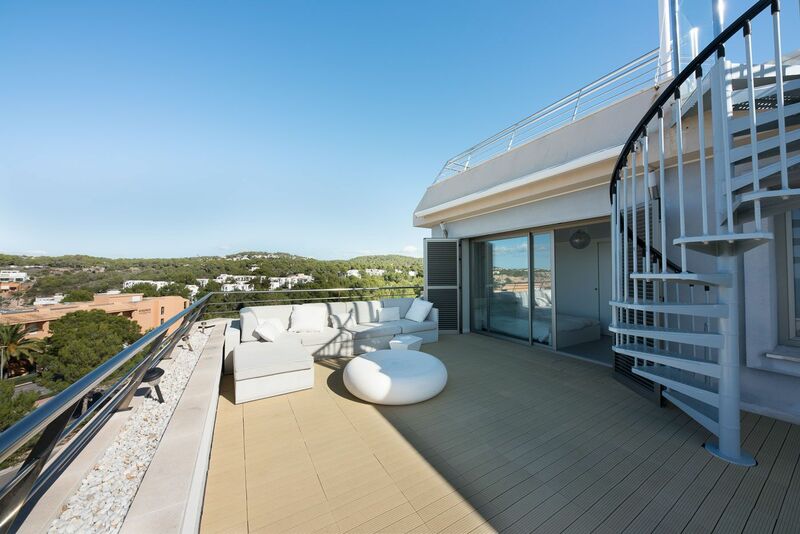 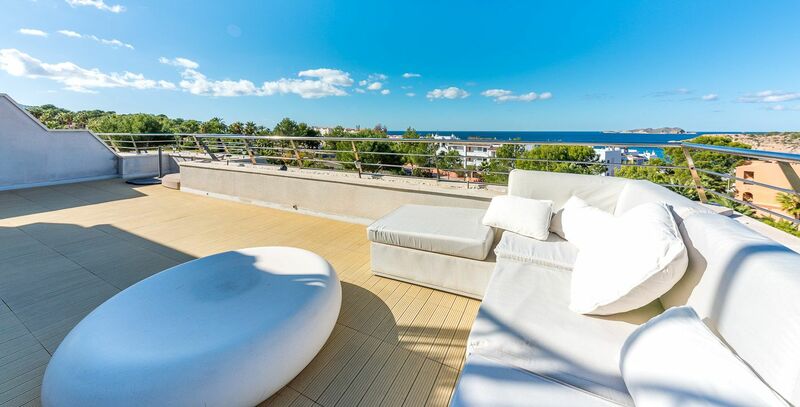 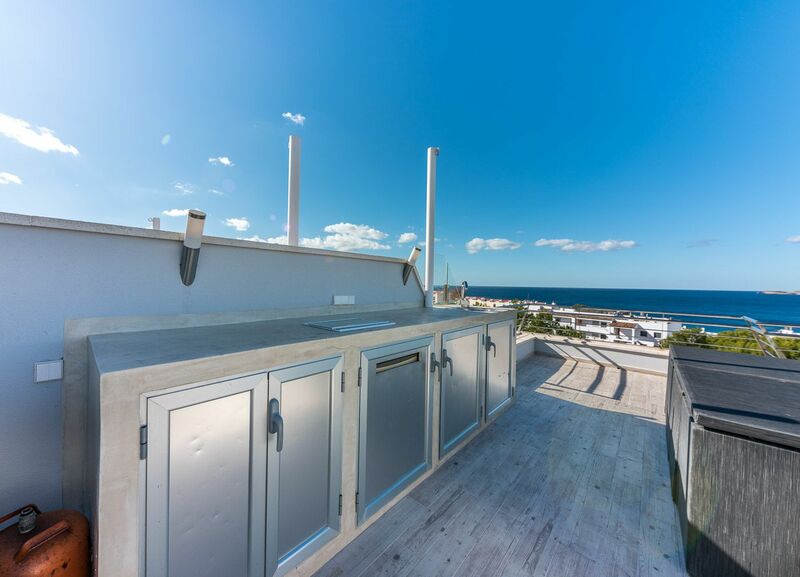 81 m² plus terrace and roof terrace of approx. 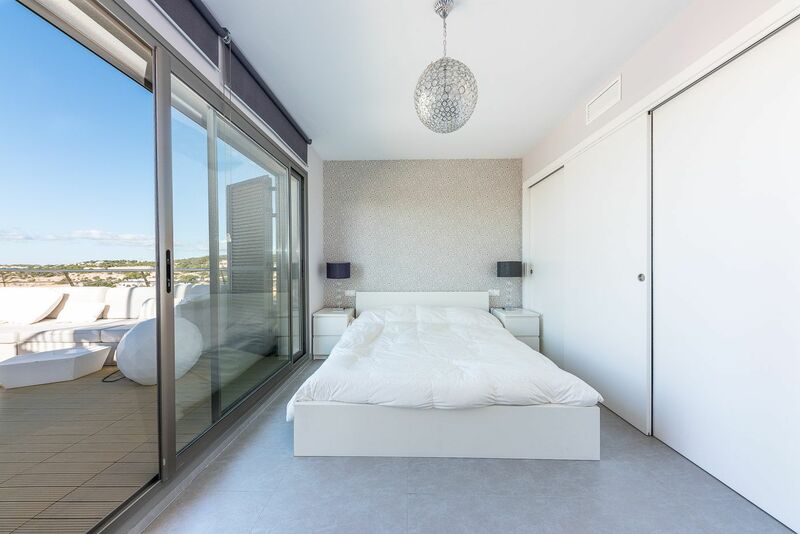 162 m². 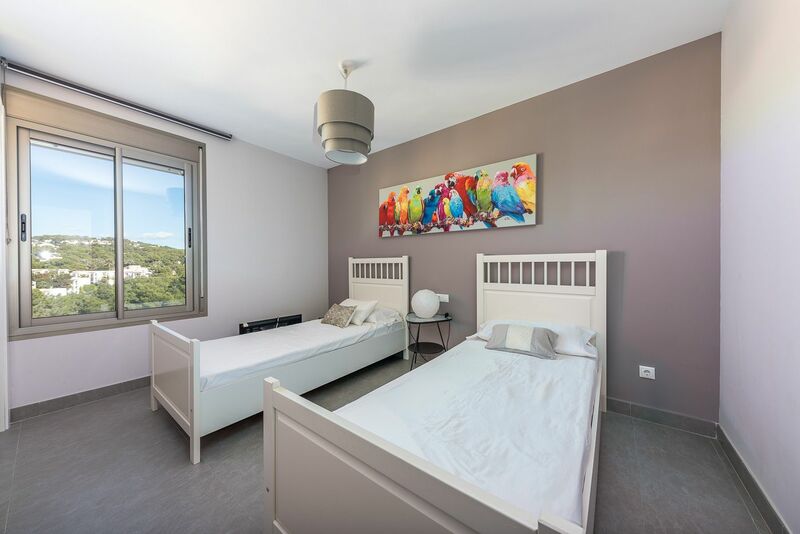 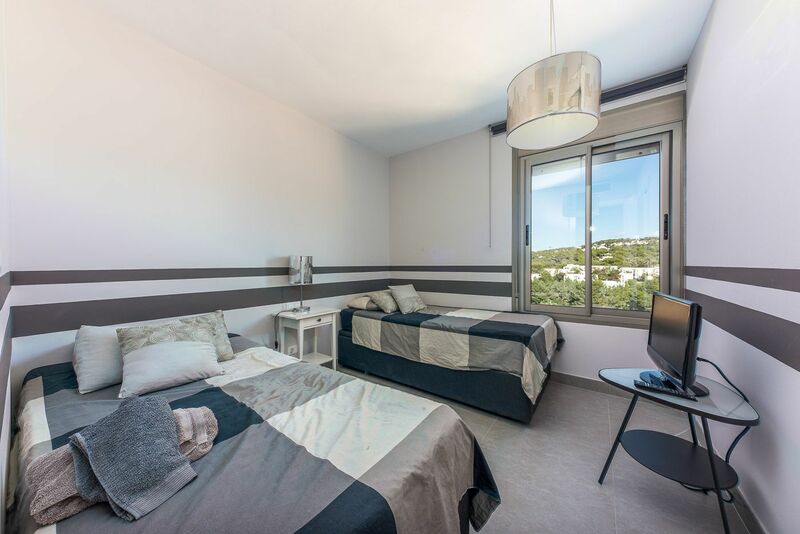 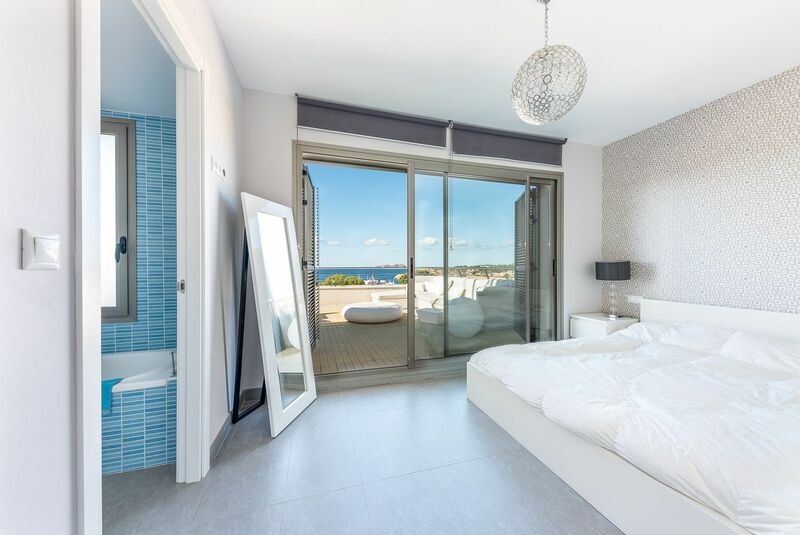 Master bedroom with bathroom en suite, built-in wardrobe and access to the terrace, 2 double bedrooms with built-in wardrobe, another bathroom, fully equipped kitchen, living room with access to the terrace of approx. 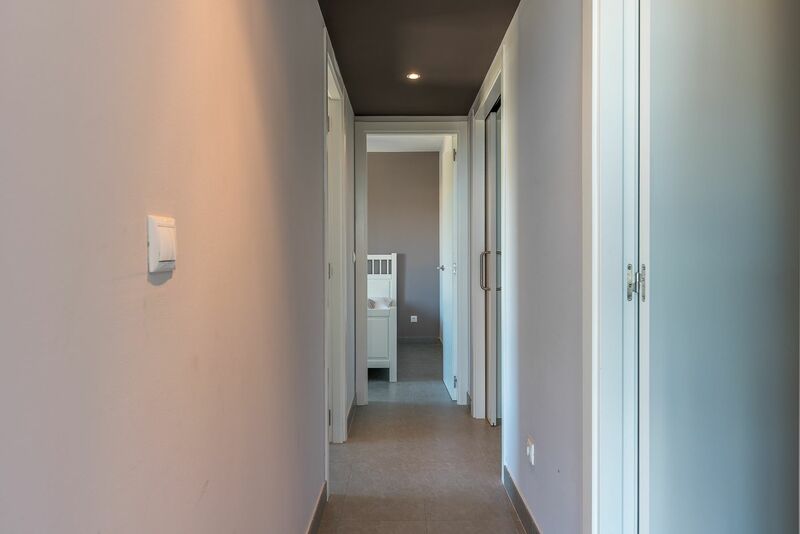 62 m². 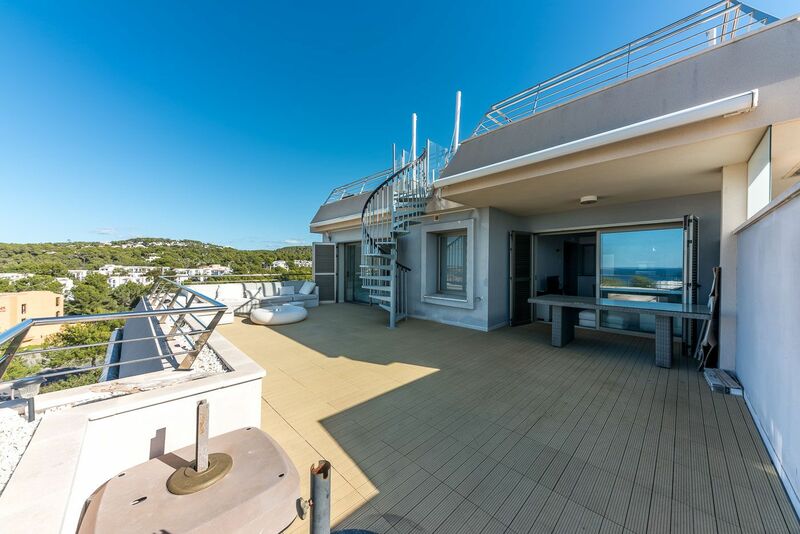 From the terrace there is a staircase to the roof terrace of approx. 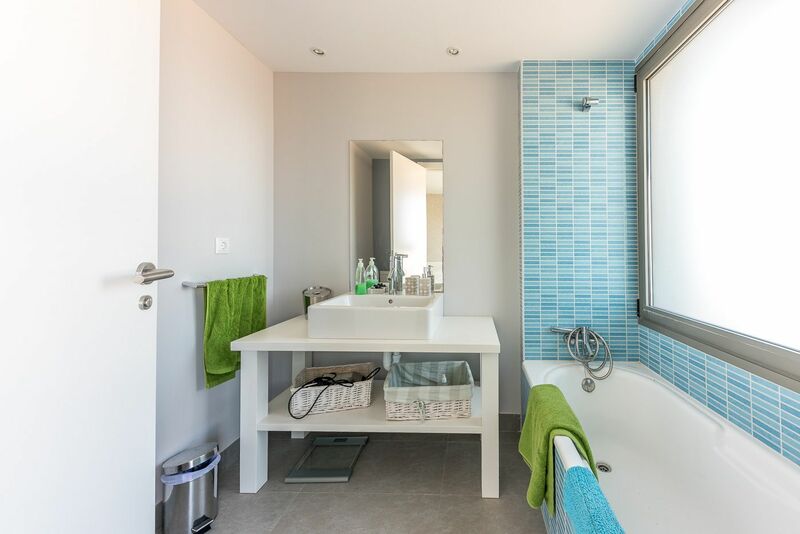 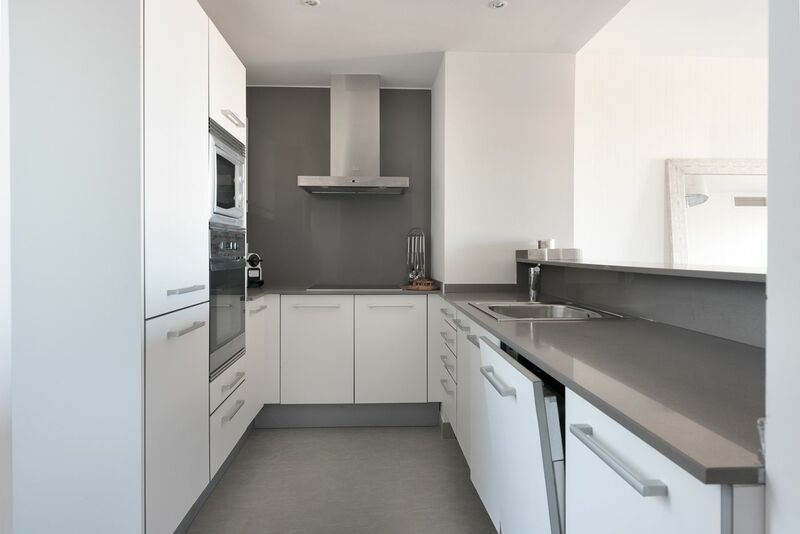 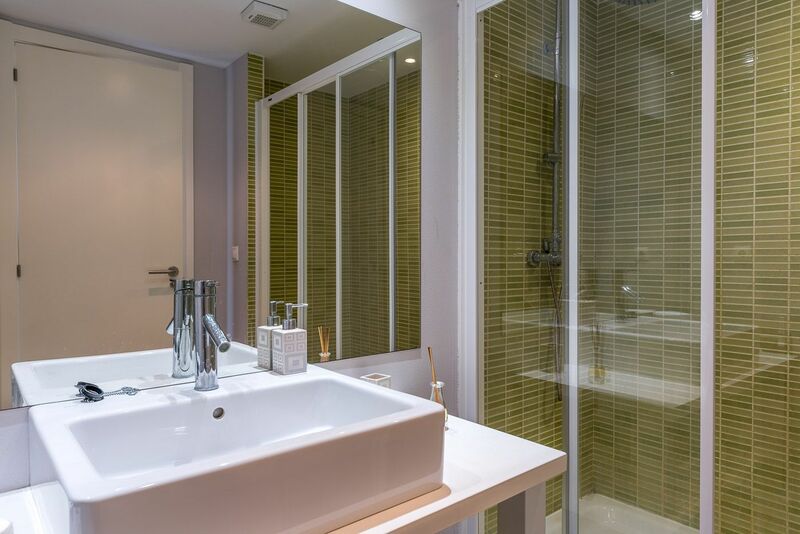 100 m² with outside kitchen, shower and jacuzzi. 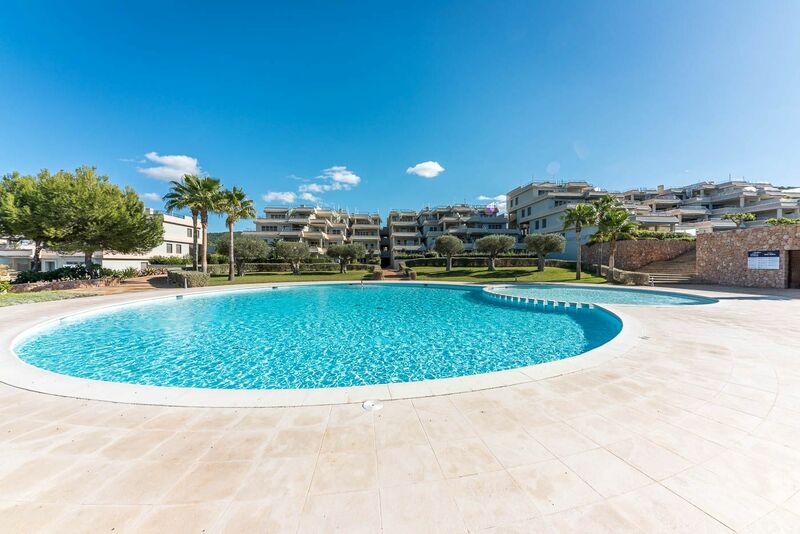 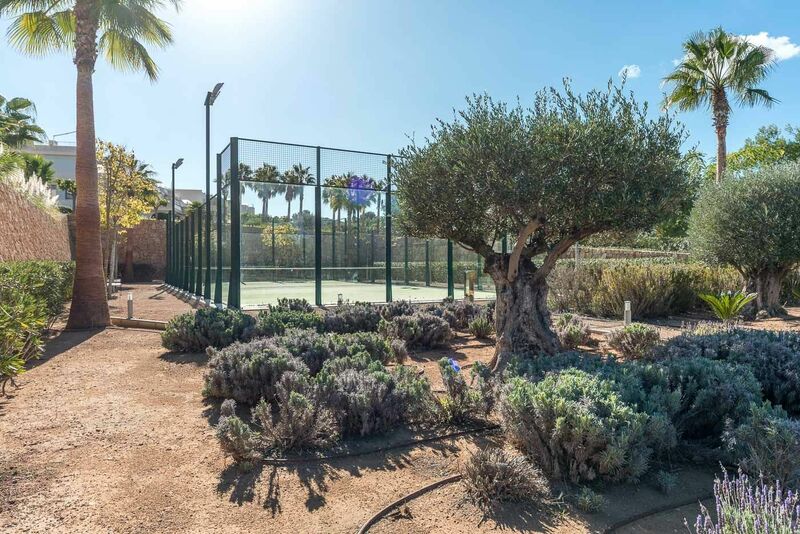 Communal swimming pool, paddle court, air conditioning, double glazed windows with aluminium frame, private parking.